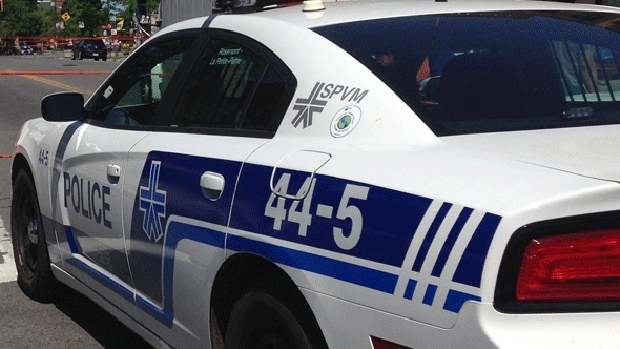 A police cruiser sits parked in Montreal. Montreal police will be allowed to smoke cannabis during their time off as long as they show up to work "fit for duty," according to the city's new marijuana policy, which is one of the most lenient in the province. Both the RCMP and the Toronto police forces are reportedly planning on strictly controlling their members' use of cannabis by prohibiting any pot smoking within 28 days of a shift. 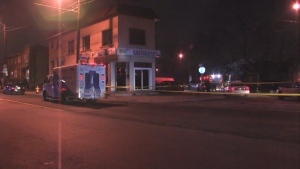 In Montreal, "We have our own thing," police spokesman Andre Durocher said. "It's the same for anything else. It's what we call the 'fit for duty' (principle)," he told reporters at city hall. "Whether it's under the influence of cannabis, alcohol or medication." Durocher said the city's marijuana policy was created "according to our culture, our organization and what we think is best." He said the policy is the best way to ensure "the safety of our officers and of our population." As for civilians, those of legal age will be able to smoke marijuana almost anywhere that smoking tobacco is permitted, said Mayor Valerie Plante. The few outdoor exceptions, such as bus stops, schoolyards and hospital grounds, are contained in the provincial legislation adopted last June. She said the city spent more than a year coming up with a plan and in the end decided not to introduce any additional bylaws. Montreal will simply follow Quebec's cannabis law, which bans private sales of marijuana and outlaws residential plant cultivation. Other municipalities across the province have gone further, banning pot smoking in all public areas. But Plante said Montreal's policy needs to "reflect our reality." Kicking cannabis smokers out of all public areas forces them to smoke indoors, which could lead to second-hand smoke concerns, Plante said. There is also an equity issue, she added, as most Montrealers are renters. Landlords are allowed to ban marijuana smoking inside their units, which would leave tenants with nowhere to smoke if they could not smoke outdoors. Montreal's year of research and consultations might have been for nothing if premier-designate Francois Legault follows through on his election promise to clamp down on cannabis. Aside from raising the legal age for consuming cannabis to 21 from 18, his Coalition Avenir Quebec has promised to prohibit all public pot smoking in Quebec. Plante insists the work put into the city's marijuana policy was not a waste of time. She said the city would not seek out a fight with the province, but it would share "all the research and data" that supports its position allowing smoking in public.